GoDaddy’s primary business model is selling domain names but they also offer affordable hosting with a variety of features. 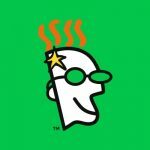 If you want to purchase a domain, shared hosting, SSL, and email marketing software all within the realms of the same company, GoDaddy might be for you. GoDaddy always manages to stay relevant in the hosting space, despite newcomers in the industry (see: JustHost and KnownHost). GoDaddy has a few features to offer that beginners and first time web developers might find handy. 1) Code Signing Certificate: GoDaddy offers something not too many web hosting companies do – code signing certificates. Code signing is digital signing of executables and scripts. Some purposes of code signing are 1. To guarantee the author of software, 2. To Guarantee the code hasn’t been corrupted and 3. To eliminate security warnings during download and installation. GoDaddy provides code signing certificates for $169.99 a year. These certificates inspire confidence in users when they download something from your website, like Java applets, web scripting codes, and Active X controls. They also prevent unidentified third parties from altering your code. It’s a nice service for software developers and content publishers. GoDaddy also offers a driver signing certificate which works nearly identical to code signing certificates, but for Microsoft hardware drivers. 2) Email Marketing: Most web hosting companies offer emails and some help with email marketing, but when it comes to actual email marketing software, they tend to partner with other companies like Constant Contact, AWeber, or Mailchimp. But GoDaddy has their own email marketing software. It’s simple and intuitive to use, with a drag-and-drop email composer, analytics and reports, integration with social media and other tools like Facebook, Etsy, and Google Analytics, and automatic removal of bad addresses. GoDaddy’s email marketing service comes in 3 different tiers, starting at $4.99 per month (500 contacts) up to $9.99 per month (5,000 contacts). The good thing about this proprietary email marketing software is that you’ll get access to the same support 24/7 that knows GoDaddy inside and out. This helps you troubleshoot any problems you might have with integrating the email software with your website. 3) GoDaddy Garage: The Garage is a blog operated by GoDaddy aimed at small business owners and blogging pros. It’s free and accessible to anyone, so you don’t have to sign up with GoDaddy for it. But it’s unique because it shows that GoDaddy’s involved with the small business and blogging community. Almost all web hosting companies have a blog; that is nothing new. But most of them are abandoned or updated with poor content. The Garage is different because it’s updated almost daily with useful posts on running a small business and resolving technical issues. Multiple authors from different industries submit the posts that are highly educational and practical. The blog is on a WordPress platform so it serves as a showcase of what you can accomplish with WordPress (here are the top WordPress hosting companies). It is worth your time to check out The Garage while you’re on GoDaddy’s site looking at all that they offer. GoDaddy says they offer 24/7 phone support, but from personal experience and based on reviews left about the company, it can take a while to reach a real human and get problems solved. There’s also no email support or ticketing system in place for streamlined customer service. If customer support is something you really value in a hosting company, GoDaddy probably isn’t for you. We have looked over several online reviews to find out how customers feel about GoDaddy. We found that customers were happy with their pricing and uptime. Not all reviews were positive however. We found that customers were frustrated with customer support and resolution times. 1) Low Introductory Prices: For web hosting, GoDaddy has plans that start with low introductory prices, from $4.49 to $7.49 per month. 2) cPanel or Plesk: GoDaddy offers the popular and intuitive cPanel or Plesk control panels. 3) Uptime Guarantee: GoDaddy publishes 99.9% uptime on their website. 4) SSL Certificate: GoDaddy’s Ultimate Plan with the introductory price of $7.49 per month includes an SSL certificate, which is not a common feature with this level of pricing. 5) Unlimited Bandwidth: GoDaddy’s plans offer unlimited bandwidth, provided you adhere to their usage policy and terms of service. 1) Too Many Options: When you first go on GoDaddy.com, you’ll face a dizzying array of options, everything from domain names, web hosting plans, web security (SSL certificate, malware removal, code signing certificate), online marketing, and even more “fringe” services like email, Microsoft Office, and online bookkeeping. 2) Emphasis on Domain Names: GoDaddy has always had their roots in domain names – bulk domain purchase, domain brokering, domain auctions, etc. As such, their web hosting plans are a bit on the thin side and things that would normally be included, like a website builder, is an extra add-on with GoDaddy. 3) Limited Support: GoDaddy offers 24/7 phone support and live chat, but there is no email support or a ticket system. GoDaddy is an interesting option for web hosting because their primary focus is on domain names. GoDaddy’s homepage is primarily devoted to domains so you’ll have to look to find their hosting information. They offer other services like email marketing software, code signing certificate, online bookkeeping. Their personal plans are reasonably priced and they have an award-winning support, though the support channels are limited.